The word SYMBOL is an amalgam of ‘SYN’ (together) and ‘BOLE’ (throwing, the stroke of missile, bolt, beam). The word SYMBOL is derived from Greek word ‘SYMBOLON’. Very interestingly, Paul Tillich defined symbols as dead and living symbols. For him, a living symbol can reveal to an individual hidden level of meaning and transcendent and religious meaning. When a symbol loses its meaning and power for an individual and culture, it becomes a dead symbol. The Symbol itself is substituted for deeper meaning it intends to convey. Symbols are complex and their meanings can evolve as the individual or culture evolves. By above definitions and discussion, it’s very clear that the accurate meaning of the symbol cannot be defined. 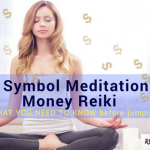 The meaning of symbol and it’s very nature, how you can use these symbols in Reiki, may differ from person to person, though their basic description, their nature, and for what purpose they can be used is broadly defined . The meaning, nature and the depth of each symbol reveal itself when we work with these symbols. The more we give, the more we get, this simple principle applies to all Reiki . Symbols are keys to solve any problem. There are various symbols in Reiki and other forms of Reiki, for the specific use. The symbols are a tool. A person faces many problems on different levels of existence, may be on a physical, mental, emotional or spiritual level. A specific symbol or a group of symbols can effectively work on these problems, so they are the keys to the problematic area of a person where he needs the healing. Symbols can be used in each and every situation possible. Use your intuition, be creative and use symbols sparingly. Are symbols Sacred or Secret ? Definitely, Symbols are Sacred and should be treated with respect. There is a continuing debate over should Symbols be discussed to uninitiated or one who is not attuned ? Symbols have a specific meaning, its own purpose and its own ways of working. Nowadays , Reiki and Symbols are widely discussed on The Internet, but unless and until Reiki Master attuned a person, these symbols can hardly be used effectively. While Attuning a person, Reiki Master imprints these symbols in person’s aura, so after the attunement, whenever necessary the person can activate these symbols,by the preferred way. Can Symbols be used with ill intention ? Neither Reiki nor Symbols can be used with a wrong intention. Reiki is an intelligent energy, whenever it is activated, it works for the highest interest of the person. You can not direct Reiki for a particular outcome, nor can you direct Reiki to flow in a particular area, Energy flows where it needed. Four Symbols of Usui Reiki. Traditionally Four Symbols are attuned in the second and third level of Reiki in Usui Sensai. 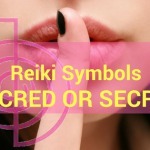 Usui Reiki Symbols have actually been created from Japanese Kanji. they are simply words from the Japanese Language. The name of first two symbols Cho ku Rei known as Power Symbol and Sei Hei Ki better known as Mental healing symbol, themselves may be a combination of Sanskrit and Japanese Kanji. Japanese Buddhist sometimes combine Ancient Sanskrit with Japanese Kanji in their sacred writings. Where as Hon Sha Ze Sho Nen and Dai Ko Myo are completely Japanese Kanji. Zonar, Shanti, Halu, Harth, Rama,Gnosa, Kriya, Lava, Om, Raku, Dumo and much more. In upcoming posts, we will discuss all these symbols in a little detail, how they can be used, how combined symbols can be more useful in some situation and some more symbols. 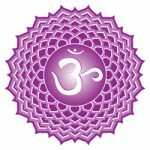 To Conclude, we can say, Symbols are the Secrets of the Reiki, and we are very fortunate that we can use these symbols for the betterment of the society and for the world. A person is a small unit of this vast Universe. If we use these symbols on a soul level, treating these symbols as God’s gift to Reiki Channels, for the upliftment of a person, the World will definitely going to be a more peaceful place. 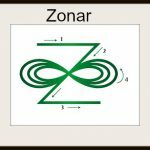 A very informative post on symbols. Symbols definitely have meanings and powers, I would also consider that since we humans created language from symbolic gestures that we might have used to communicate earlier, those thought impression might be still working at the energy level and that’s why we feel certain way when we are introduced to few symbols.So, I quite agree with you on the point that symbols that belongs to the great ancient wisdom like Reiki can definitely have different kind of affect on us. Thanks you, keep up the great work! more you communicate with Symbols, the more they evolves. Communication can be in the form of meditation or in any other way like using a particular Symbol in a different situation. The more you practice, the more you get familiar with Symbols. Reiki is in my opinion a medicine that should be applied by all the families of the whole whole, instead of being clogged with these industrialized remedies. Of course sometimes there is some exception where the patient really needs to use them, but I think they are very rare sometimes. Who profits from it all are the pharmaceutical industries. Is it your name Chokurei? Must say a nice name! I agree with you, Reiki should be implemented from the base level. so the whole mankind should get benefit from it. Sure pharma Companies will suffer a lot from Reiki, as Reiki boosts the immunity. Slowly but surely, all are getting familiar with the dangerous side effects of Allopathy, though I am not against it. Allopathy is a must for critical conditions.